I counted 36 Swifts high in the sky above the Kings area. Yesterday (Saturday) David Craig reported seeing a good number of Swifts going along Main Street at 0900hrs. 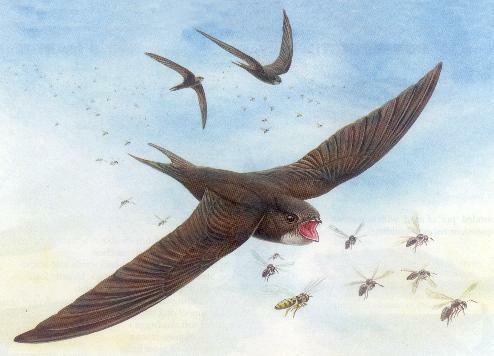 Yesterday (Saturday) Bryan Yorke reports seeing one Swift entering the nest site on the Cottage on the Post Office Row. 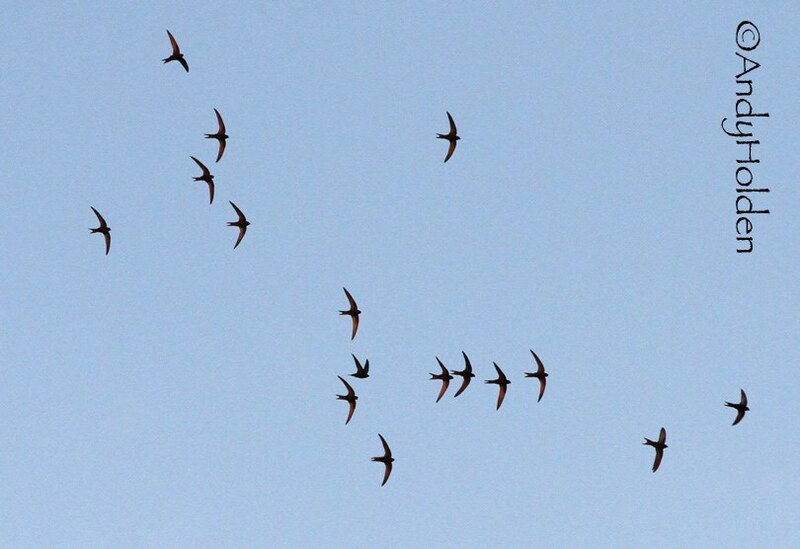 Yesterday (Saturday) Anne Nicholls reports seeing 7 Swifts high above Tanpits Lane during the evening. Friday 29th July 2016 - 1900hrs - Walk through Main St, Burton In Kendal and back. We are closing in on the time for our Swift departures which I would expect to be starting any day now. Although yesterday evening we were treated to a fabulous spectacle of aerial performance by at least a minimum of 30 Swifts (probably could have been nearer 40!) in the air at times in congregation and at other times swirling around and chasing and screaming in smaller parties. We really did see them at their best. Impossible to tell if there were young among the numbers, although we thought so and that the screaming parties especially could well have been young birds. It was wet and miserable weather during the watch but reports are coming through that in the next 24 hours the weather will change back to dry high pressure with the wind coming from the North West. That will probably be music to the ears for the Swifts and give them that strong urge to start their journey all the way back to Africa. We did manage to see birds see going into their nest sites both at the front and the rear of the Royal, so obviously there are still birds with young about.